Shrub (noun): a woody plant that is smaller than a tree (usually under 6 m tall) that has multiple stems. You can also call them bushes! Trees are also woody, but they have one main stem (the trunk) and are usually larger at maturity. Some common native shrubs in High Park include red-osier dogwood, New Jersey tea, northern bush honeysuckle beaked hazel, maple-leaved vibernum and alternate-leaved dogwood. The word "shrub" is related to the North Frisian word skrobb, meaning "broom plant". 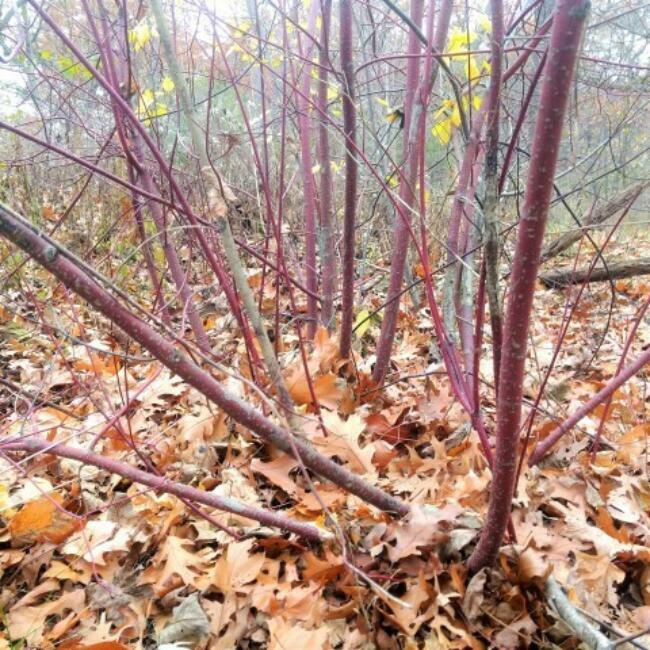 A beautiful red-osier dogwood shrub showing off its multiple stems!